The Axicon PC-7015 series is designed for wet and dusty environments and all barcodes where a 10 or 20mil aperture is mandatory (such as UCC/EAN-128 and ITF-14), up to 7.68” (195mm) width including quiet zones. The simple to use design reduces user error and eliminates product damage while providing the highest level of accuracy achievable for verification. The Axicon Verifier, when used in conjunction with the accurately produced calibration sheet, forms an integral part of your ISO 9000 quality control procedures. Free software updates for life are downloadable from our website, ensuring that the instrument will remain at the leading edge. A printed report can be produced on any Windows or Mac printer. The report will be automatically resized to suit the output media including self adhesive labels. Printouts include all the main verification information. Product Look-up Option: Links the software to a database providing a description of the product that the barcode should relate to as well as the quality control information. AI Checker: (UCC/EAN-128 and RSS): Gives the user descriptions of the application identifiers used and then validates the information, checking for possible structure and content errors (e.g. date errors, check digit errors, incorrect field lengths etc.). .csv File Saving: Enables verified data to be stored as a .csv file, enabling the user to analyze their results using Excel or any similar spreadsheet program. The system can be set to record all data automatically if required. The PC-7015 series accuracy makes it an ideal unit for bar code audits. Proprietary software was developed to allow custom ‘User Data’ to be added to quality reports. You choose what data to collect (Typical data: press location, print density, orientation, operator name) and the information is stored in a database and printed on the quality report. 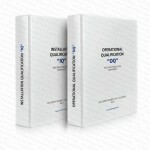 The PC-7015 series meets the International Organization for Standardization’s “Bar Code Print Quality Test Specification” (ISO 15416), the American National Standard Institute’s “Guideline for Bar Code Quality” (ANSI X3.182-1990), the Uniform Code Council (UCC), and the CEN specifications regarding verification methods and methodology. It also meets International Organization for Standardization’s “Bar Code Verifier Conformance Specification” (ISO 15426-1).